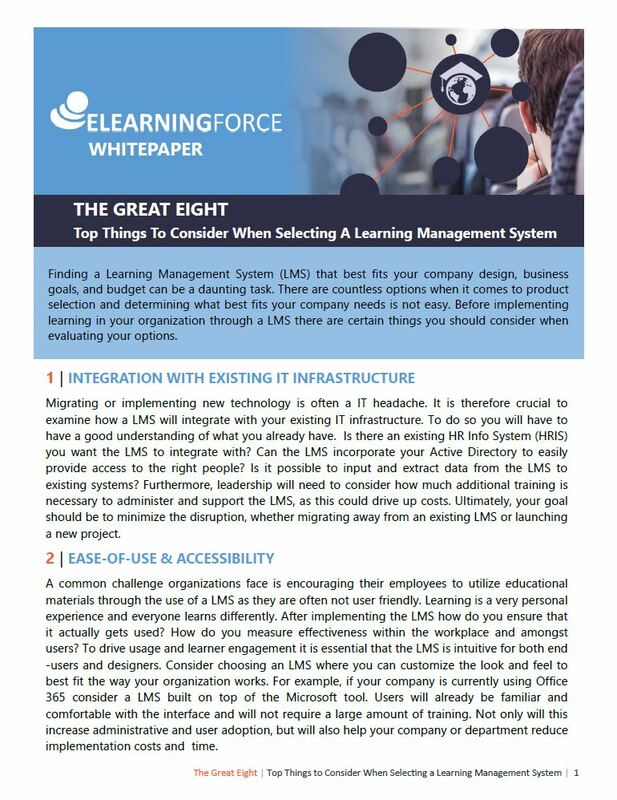 Whether implementing training for the first time or replacing a existing LMS, determining what system is the best fit for your organization is a daunting task. This whitepaper discusses what to look for during the selection process and how best to evaluate your options. 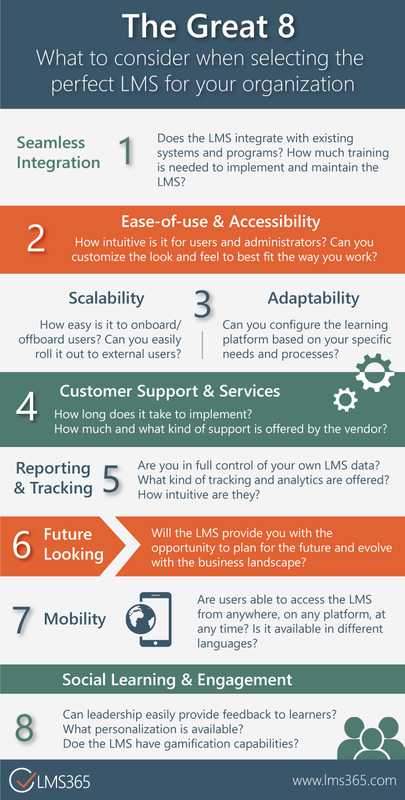 For you visual learners take a look at this short infographic that highlights the top 8 things to look for when selecting a LMS.